As the world gets globalized, the need for travelling has grown by leaps and bounds. Be it the academic or professional work schedule, or a long leisure vacation, we all are experiencing transition and are facing the concerns that come with it. No matter how short or long the stay is, a well-furnished home is a place to look forward to. Buying furniture and appliances can be a hassle and also a little heavy on the pocket. But with the introduction of modern local furniture rentals the dread of transition can be avoided. Cost Effective: Paying a large sum of money to buy the furniture is no longer viable. We can easily rent furniture, appliances, and gadgets for a much lower price. Moreover, a wide range of prices of furniture are available and can be chosen according to the needs of the occupant. Hassle Free: Purchasing furniture involves a tiresome task. If the stay is short-term the idea of re-selling the furniture comes into the picture. Expected price or suitable buyer may not be found on time leading to a chaotic circumstance. Renting furniture comes without such hassles. The appliance can be easily returned once the period of rental is over without any complications. Convenient: With the advent of modern rental websites, the furniture to be rented can easily be delivered at our doorstep. Even a convenient date and time can be scheduled according to the preferences of the occupants. Long or Short Term: The idea of rental furniture is not only suitable for a short term but also long term. From weeks to months, furniture and appliances can be rented for a flexible amount of time serving the needs of the renter. Flexibility: Often we buy furniture that tend to wear and tear after a while or do not seem to live up to our expectations. But with renting furniture and appliances a level of flexibility is available where we can easily try and change according to our demands. Whether you are corporate personnel, a student or simply a traveller, furniture rental is suitable for all. Moreover, at present, even the permanent dwellers are choosing rentals over buying. It is often observed that the lifespan of a store bought furniture is less in terms of money as compared to that of a rental furniture. 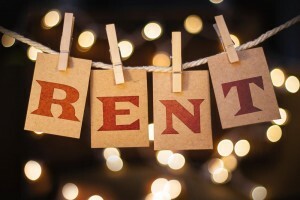 The dilemma of rent versus buy can be overcome with the verdict going towards renting for the major advantages that rental furniture services offer.